Family Voices. …keeping families at the center of children’s health care. What Families Can Do to Avoid “Surprise” Medical Bills? Most families are familiar with managed care and understand that they have better health care coverage if they stay within their plan’s network. However, even when families go to network hospitals, they are sometimes hit with surprise medical bills. Even if a hospital is in a family’s plan network, not all of the providers who provide services at the hospital may be in the network. It is important that parents know if individual doctors are also participating in the plan. This can be important to know for routine visits to a children’s hospital as well as for in-patient or emergency care. Parents may have been diligent in finding both a hospital and also a provider who works there in their plan’s network. However, if their child needs surgery or other care, it is possible that the anesthesiologist, for example, may not be participating in their plan. Then the family receives an “out-of-network” bill. The situation is even more difficult during an emergency. Families may have to go to the nearest hospital or perhaps get admitted or transferred to a hospital that may be out-of-network. For medical appointments, check that the providers at the hospital are also in-network. If using Medicaid as secondary payor, get an out-of-state authorization. NOTE: Even non-participating providers can bill Medicaid out-of-network as secondary to private insurance. File a complaint, see https://consumersunion.org/insurance-complaint-tool/. Families need to be vigilant about using in-network providers to ensure that their insurance will cover medical services. Plans should make information on network providers “transparent”, or disclose estimated costs out-of-network, so families don’t get unexpected medical bills. Some states have proposed protections, including for self-funded/self-insured plans. For more information on what families and advocates can do, see Resources below. This tip sheet is based on an ACA blog authored by Lauren Agoratus, M.A. Lauren is the parent of a child with multiple disabilities who serves as the Coordinator for Family Voices-NJ and as the southern coordinator in her the New Jersey Family-to-Family Health Information Center, both housed at the Statewide Parent Advocacy Network (SPAN) at www.spanadvocacy.org. More of Lauren’s tips about the ACA can be found on the website of the Family Voices National Center for Family/Professional Partnerships: http://www.fv-ncfpp.org/. Summer can be a challenging time for children with special needs and their parents. Many families face a decrease in school and therapeutic hours. This may leave parents with extra time to fill during the day. Parents are also on alert as children with behavioral or social skill challenges encounter bullies or controlling peers at parks. A trip to a recreational center may seem like an easy answer for some families, but not always the most accommodating for a child with physical disabilities or special needs. As a result, AbilityPath.org created a list of ten summer activities to do with your child that don’t require weeks of planning, a small loan or traveling further than your backyard. Visit the new school or classroom. Will your child make a major transition next fall? Will your child be moving from preschool to kindergarten, from elementary to middle school, or from middle school to high school? Plan to take your child to visit the new school or classroom before the first day of school. Review your child’s IEP and progress. Did your child make progress this school year? Did the school properly implement the IEP? Does the IEP adequately address your child’s needs? Do your child’s Goals prepare your child for further education, employment, and independent living? Ask for an IEP Team Meeting if necessary. Did you answer “No” to any of the questions above? Ask for an IEP Team Meeting to resolve these concerns. Do not let another year go by with an inappropriate IEP. Prepare for the IEP Team Meeting. Prepare a list of your child’s present levels of performance. The list includes you child’s strengths and the areas that are challenging. Look carefully at this list and you will better understand what your child needs. Add these needs to your list of present levels of performance. You can also add Goals, Related Services, Assistive Technology, and anything else that your list justifies as an educational need. Say “Thank You” to those who helped. Did your child have a great school year? Was this success due to a wonderful teacher, a helpful classroom aide, or a thoughtful bus driver? Say “thank you” to those who helped your child succeed. Look at what made this a good year for your child. Add that information to the list of your child’s present levels of performance. Give your information list to the IEP Team before the meeting. Do not surprise other members of the IEP Team. At least one week before the meeting, give a copy of your list to each member of the IEP Team. Take extra copies to the meeting for anyone who forgets to bring their copy. Your IEP Team Meeting will go faster and smoother if everyone has your list ahead of time. Ask for a copy of any information that has been given to other members of the IEP Team. You do not want to be surprised. Ask for copies of all information the IEP Team will discuss. You cannot be a full team member if you are left out of the loop. Ask for things like copies of teacher reports, evaluation reports, and group achievement testing. Ask the IEP Team to address Extended School Year (ESY). ESY Ask the IEP Team to address ESY early in the second semester. If there is disagreement about whether your child needs an ESY, you will need enough time to resolve this with one of the due process procedures available. Find out what summer educational resources are available for your child. An ESY is not the same as summer school. Summer School is usually a generic program that is not designed to meet your child’s individual needs. An ESY program is intended to meet the specific educational needs of your child as identified in his or her IEP. Make sure you know what services the school is offering! Determine whether your child needs a new evaluation. Does your child need new evaluations? Are you unsure whether your child has made adequate progress? Achievement testing at the beginning and end of every year will give objective answers about your child’s progress. (See Chapter 8, Your Child’s Evaluation, in Wrightslaw: From Emotions to Advocacy, 2nd Edition). Nebraska Public Schools are committed to providing all children with disabilities a Free Appropriate Public Education. With that commitment in mind, this Technical Assistance (TA) document was developed to serve as a guide for parents and educators across the state to assist them in making decisions regarding the provisions for extended school year services. What Might ESY Services Look Like? As noted earlier, ESY services are not necessarily a continuation of the same instructional program and related services the student receives during the normal school year as prescribed by his IEP. IEP teams have flexibility in determining what ESY services might be needed. For example, ESY services may take the form of teachers and parents working together by providing materials for home use with progress monitored by the teacher. Independent service providers or agencies – such as those used by the school district to provide supplemental educational services (SES) under Title I of No Child Left Behind — might be used to deliver ESY services, such as individualized reading instruction. Once the IEP team agrees upon ESY services, specifics about those services, where the student will receive the services, and how his progress will be measured and reported should be included in the student’s IEP. Obtain a copy of any ESY determination guidelines issued by your school district and/or state. Most states have policies or guidelines regarding ESY. These should be made available to you upon request. Familiarize yourself with the guidelines and ask questions. Contact your state’s Parent Training and Information (PTI) Center for additional assistance. Don’t wait until late in the normal school year to discuss your child’s potential need for ESY services during the summer break. If necessary, request an IEP meeting specifically for the purpose of determining ESY eligibility for your child. Be sure to put this request in writing to the school principal or school district special education director and specify the purpose of the meeting. Make certain that important school personnel – those who know your child best – will attend the IEP team meeting. List all of the factors you think should be taken into consideration when determining your child’s need for ESY services. Refer to the types of information listed earlier to help compile your list. Take your list to the IEP team meeting. Remember that the determination should be based on a broad range of factors and an array of information. Many parents take advantage of school offerings outside of the regular school year, such as summer school and enrichment programs. Parents may be required to pay an additional fee for such programs. While such programs aren’t ESY, schools are required by non-discrimination laws such as Section 504 to provide any accommodations a student with an IEP may need to fully participate in them. The student may need a Section 504 Plan to ensure that needed accommodations are provided. The IEP team must determine if the student is likely to lose critical skills during the time when services are not delivered — called regression. If the likelihood of regression is established, then the IEP team must determine whether the time the student will require to re-learn the skills lost — called recoupment — is excessive, particularly when compared to the time it takes a nondisabled student to regain skills lost during a school break. Many students lose some skills over school breaks, and then must relearn those skills when back in school. This applies to short breaks like holidays as well as the traditional long summer break. The important distinction is whether the student with a disability will experience significantly more regression and will take significantly more time to recoup lost skills than the student without disabilities. Determinations about regression and recoupment can be either retrospective (looking back at documentation of a student’s previous rates of regression and recoupment) or prospective (looking forward at the potential rate of regression and recoupment based on such information as expert judgments and observations regarding the student’s performance after very short breaks such as long weekends). It’s not necessary for a student to demonstrate previous regression in order to be eligible for ESY services. However, the determination should be based on objective data from a variety of sources. Several states continue to use a regression and recoupment model for ESY eligibility. The U.S. Department of Education has clarified that states have the option of using recoupment and retention as their sole criterion in ESY eligibility decisions, but do not have to do so. Many states have established additional criteria based on cases in their respective circuit courts. The nature and severity of the student’s disability. While the student’s type of disability alone does not determine whether or not there is a need for ESY services, the IEP team should examine whether the nature and severity of his disability are likely to significantly jeopardize his ability to benefit from the instructional program if he experiences a lapse in instructional support. The student’s degree of progress toward IEP goals. How quickly is the student progressing from year to year without ESY services? Will the loss of services during the school break significantly jeopardize the student’s progress toward the goals? Failure to achieve one or more IEP goals does not necessarily mean that the student is eligible for ESY services. The student’s emerging skills and breakthrough opportunities. Is the student at a breakthrough point in a critical skill or skills, such as reading? Will the interruption of services and instruction significantly jeopardize the educational benefit the student is receiving from the specialized instruction or related service(s)? The student’s behavior(s). Does the student exhibit interfering behaviors — such as aggressive, violent or self-injurious behaviors – that prevent him from receiving education benefit from the instructional program during the normal school year? If so, he may need ESY services to keep the interfering behaviors from significantly jeopardizing the educational benefit he can derive from his instructional program during the next school year. Management of such behaviors should be part of the student’s current IEP. Special circumstances or other factors. Are there other special circumstances or factors that will significantly jeopardize the student’s receipt of educational benefit during the normal school year? The student’s opportunity to interact with children without disabilities in what IDEA calls the “least restrictive environment.” In other words, will a break in services set him back so much that, once school resumes, he’ll need to spend less time in the general education classroom and more time receiving intensive/specialized instruction elsewhere? The specific areas of the student’s curriculum that need continuous attention. The educational structure in the student’s home (e.g., having parents who are willing and able to give the child adequate learning support and reinforcement). The determination of whether a student is eligible for ESY should not be made so late in the normal school year that the family would not be able to exercise its due process rights to challenge the decision. Eligibility for ESY services one year does not guarantee future eligibility. The determination is made every year — preferably as part of the student’s annual IEP meeting. Eligibility for ESY services includes the provision of transportation to and from the location of the services. If the IEP team determines the student needs specialized transportation from home to the location where the child receives ESY services, such transportation must be provided. ESY services are not required in order to maximize a student’s potential. Just as students without disabilities do not have a right to an education designed to maximize their potential, neither are school districts required by IDEA to maximize the potential of students with disabilities. Who Is Eligible for ESY Services? Any student who is eligible to receive special education and related services may be eligible for ESY. A student’s need — or eligibility — for ESY is determined by his IEP team, including the parent(s). The decision is based solely on the individual needs of the student. All school districts must ensure that ESY services are available as necessary to provide FAPE to eligible students. This doesn’t mean that every school district must provide the services, but rather, each district must ensure availability. So, for example, a district might provide ESY services to eligible students by contracting with a nearby district or a private provider. The student’s specific type of disability does not determine eligibility. School districts are not allowed to limit ESY services to particular categories of disability. So, for example, a school district cannot have a policy that prohibits ESY services for all students with learning disabilities. School districts may not unilaterally limit the type, amount or duration of ESY services. So, for example, a school district may not have a policy that restricts ESY services to the same period of time that it conducts its regular summer school program for all students. A school district may not use a lack of resources as a reason for not examining a student’s possible need for ESY services or for not providing ESY services to an eligible student. How Is Eligibility for ESY Determined? As noted earlier, the federal IDEA law and regulations provide little guidance on how to determine the need for ESY services. Therefore, the eligibility procedures and considerations have evolved from case law — the body of law created by judges’ written opinions in cases involving ESY services. Determining a student’s need for ESY services must be part of the IEP process. Ideally, the IEP team should consider the need for ESY services at the initial IEP meeting for a student who is newly eligible for special education and at each IEP meeting thereafter — generally annually. This makes the consideration of ESY an integral part of any IEP meeting. However, if necessary, an IEP meeting can be called for the express purpose of considering the student’s need for ESY services. 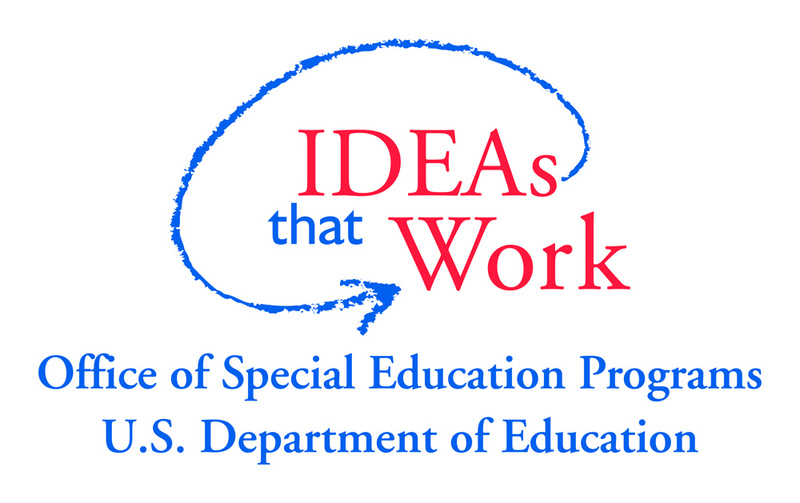 If your child receives special education services under the Individuals with Disabilities Education Act (IDEA), did you know he may be eligible for a program of special education and/or services beyond the normal school year? Such services are commonly referred to as extended school year (ESY) services. Read on to learn how ESY might help your child, the types of services it might include, and how his Individualized Education Program (IEP) team would determine if he’s eligible. What Are Extended School Year (ESY) Services? ESY services are not limited to the summer break. While this is generally the longest break from the normal school year, ESY services may be needed during shorter breaks (such as winter and spring holiday breaks) of one or two weeks in length. ESY services can even be an extension of the student’s normal school day, such as a special tutoring program. ESY services are not necessarily a continuation of the student’s entire special education program. Some students may need only certain instruction and/or related services (such as reading instruction or speech/language therapy) outside of the normal school year. Meet the standards of the State Educational Agency. The Early Development Network (EDN) provides services and supports based on the needs of children birth to age three and their families with the belief that parents know what is best for their families. These services are designed to act on what families think is important for their child and family. The Network is staffed by friendly, supportive people who listen to and respect families. The EDN is a collaborative effort of the Nebraska Departments of Education and Health and Human Services to meet the needs of infants and toddlers with disabilities and their families. EDN provides the early intervention services that are regulated by the federal law, “Individuals with Disabilities Education Act” (IDEA)-Part C.
Parents have rights known as procedural safeguards that apply to every aspect of the early intervention process, including evaluation, access to records, and parental involvement in developing the Individualized Family Service Plan (IFSP). State and federal laws and regulations outline what needs to happen to enhance the growth and development of eligible infants and toddlers with disabilities or developmental delays. This document serves as the procedural safeguards notice and provides information regarding parental rights through the Federal law, IDEA Part C, as well as Nebraska’s rules and policies.